Through her undergraduate research, UW Bothell senior Malak Shalabi is exploring her identity, her past — and the grim political reality that still affects her family. Shalabi’s family are refugees scattered throughout the Middle East and the U.S. Her father’s father was born in Palestine but moved to Qatar in 1958. Born in Syria, Shalabi’s mother immigrated to Kuwait with her family during the presidency of Hafez al-Assad. She was visiting her brothers in the U.S. when the Gulf War broke out and devastated her community at home. “My mother ended up staying here because there was nothing to return to,” says Shalabi. 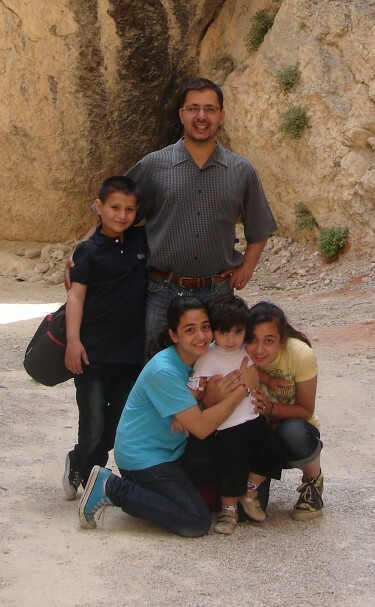 Shalabi (far right, in yellow) with her siblings and father in Saidnaya, Syria, in 2011, before the escalation of the civil war. Shalabi’s father came to the U.S. for college and met her mother, who had worked hard to learn English and get into a top dental school. Even after they married and built new lives in America, they kept monitoring global politics that affected the friends, family and countries they loved. When Shalabi sought out Kochis as an adviser for a research project, he continued urging her to draw from her personal experiences. “He asked me, ‘What’s the one thing that sticks out to you when you speak to Syrians back home or here?’ says Shalabi. “And it was the torture” — specifically, the targeted torture and murder of Sunni Muslims in Syrian prisons. For her research, Shalabi traveled to Amman, Jordan, where she visited a care center for Syrian refugees and spoke with a psychologist who treated victims of torture. She also interviewed a man who had survived a stint in a Syrian prison. Shalabi returned with a sense of responsibility to help share with Westerners the stories she’d heard during her travels. She had conducted the interviews in Arabic, which she grew up speaking at home, then translated them into English. Overlooking the hills of Saidnaya, Syria, less than an hour’s drive north of Damascus. 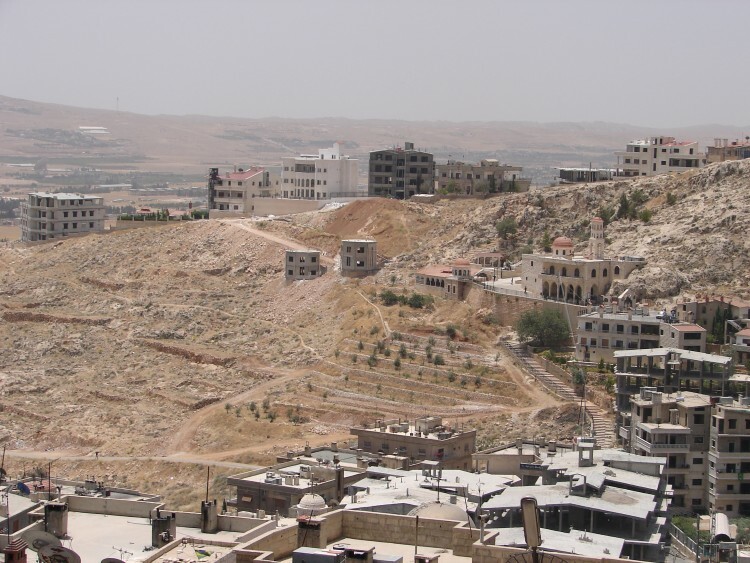 The Saidnaya military prison is notoriously brutal in its treatment of inmates. Her resulting paper, an exploration of the cruel treatment in Syrian prisons, details sectarian abuses and examines the civil war’s religious dimensions. While much of the West’s attention is trained on ISIS, Shalabi focuses on those who are too often left out of the narrative: Syrian citizens marginalized by the government of Bashar al-Assad, especially those at odds with its increasingly sectarian leanings. Staying connected to her roots has also motivated Shalabi to help others forge — or regain — connections to their homelands. For nearly a year, she ran Free Syria Seattle, a grassroots organization that engaged local activists with Syrians in a stand against oppression by facilitating discussions, art exhibits and protests. 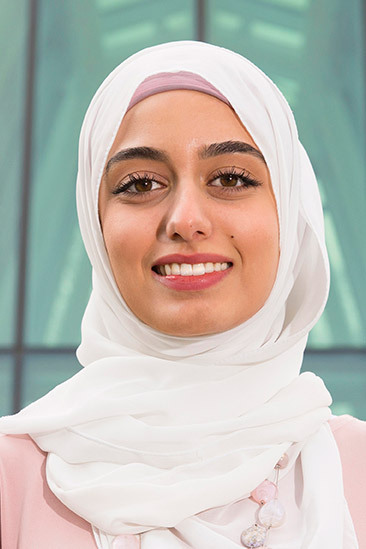 This fall, Shalabi is headed to UW Law School, where she intends to study international law. “Someday, I hope that I can use my J.D. to help promote justice in the Muslim world,” she says.